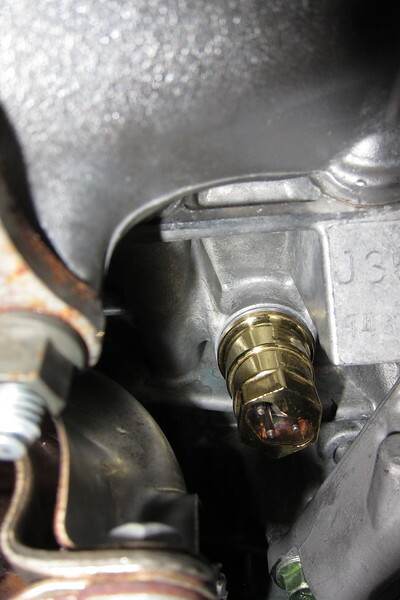 Make sure the threads in the engine block and block heater element are clean prior to installation. Do not forget to install the aluminum sealing washer. Apply a thin coat of Permatex 2 Form-A-Gasket (No. 2BR, UPS 80500) to the threads of the block heater element. This sealant is non-hardening and was recommended by the installation instructions of the Honda block heater element that I installed in my 1999 Honda CR-V when I bought it new. The hex at the end of the block heater element takes a 24 mm socket.